The MSc programme in Clinical Psychology provides students with the theoretical foundation and essential professional training necessary for careers as psychologists. Language of instruction is Icelandic and English. 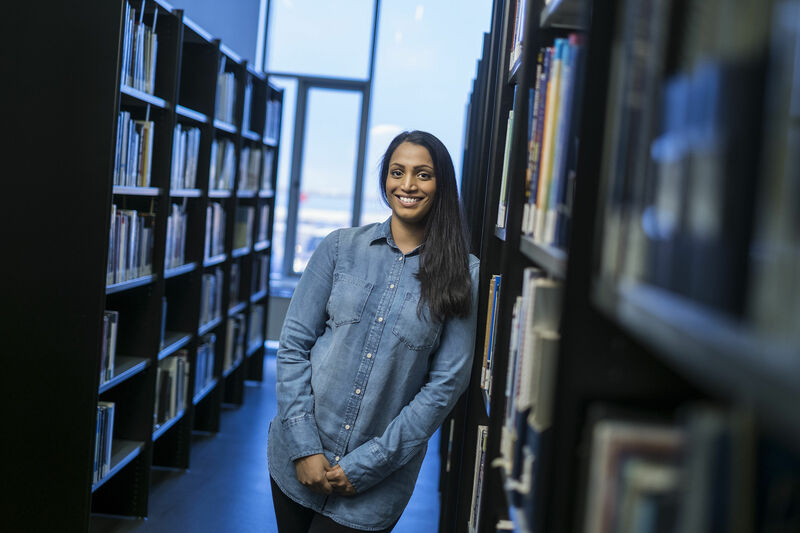 The MSc programme in Clinical Psychology at Reykjavik University combines the foundation of clinical psychology with the major evidence-based approaches of cognitive-behaviour therapy and applied behaviour analysis. Through the provision of knowledge, skills, and competence, the aim is to graduate well-rounded and capable psychologists, thoroughly prepared professionally and ethically for work within a wide range of settings in Iceland and abroad. intellectual disabilities, neuropsychology and/or rehabilitation. The programme is taught by full- and part-time lectures at RU as well as by visiting international scholars/specialists. To become a certified psychologist in Iceland, students must fulfill the requirements set forth by the Directorate of Health. After completing the MSc in Psychology at RU or equivalent, and before individuals apply for permission to practice as a psychologist, the applicant must finish 12 months of working within the field under the guidance of a psychologist. The MSc in Clinical Psychology at Reykjavik University is accredited by the Ministry of Education in Iceland. The Behavior Analyst Certification Board has approved the behaviour analysis course sequence of the MSc programme in Clinical Psychology at RU. This means that it meets the coursework requirements for eligibility to take the Board Certified Behaviour Analyst Examination. This is the only programme in Iceland to have this qualification. Applicants for Board Certification will have to meet additional practice requirements to qualify, but those who provide verification of completing the RU approved course sequence will not have to provide coursework documentation. Course approval is listed at the BACB official Web page. The coursework component includes adult clinical psychology, child and adolescent psychology, intellectual disabilities and other specialist areas of practice such as older adults, neuropsychology, health psychology, and forensic psychology. Courses are delivered by both Icelandic and international faculty in either Icelandic or English. The Research Thesis is an empirical investigation relevant to the broad discipline of clinical psychology and must involve human participants. Under supervision, the thesis is formulated and initiated in Semester 2, thesis data collection is completed in Semester 3, and data analysis and write-up are completed in Semester 4. Each student completes one supervised clinical placement in each of semesters 2, 3, and 4 under the supervision of experienced psychologists. The first placement for all students is in the adult area. The ordering of the second and third placements (child, adolescent, and family; and intellectual disability/neuropsychology/rehabilitation) will be subject to availability as advised by participating service providers. * The student can either choose to take one of the two electives offered in the MSc in Psychology or choose a graduate course from other schools/departments at RU. Alternative electives will be considered on a case-by-case basis. Please follow the link below to see a complete list of resident professors and part-time lecturers in the Department of Psychology with information about research areas. Admission is limited to those that have completed a BA or BSc degree with a minimum of 150 ECTS in psychology from a programme accredited by the Ministry of Education, Science and Culture. Proficiency in Icelandic and English is required. Selection is based on a competitive application process. The selection process involves a written application describing the applicant's qualifications and experience, supported by referee reports. Short-listed candidates will be interviewed by a selection panel. If you cannot find the information you are looking for on our website, please do contact us. We are here to help, and we welcome enquiries by e-mail or phone.